The current exhibition at the Ashmolean, William Blake apprentice and master, has inspired this week’s choice from Exeter’s rare books’ storeroom: a book with illustrations by William Blake. 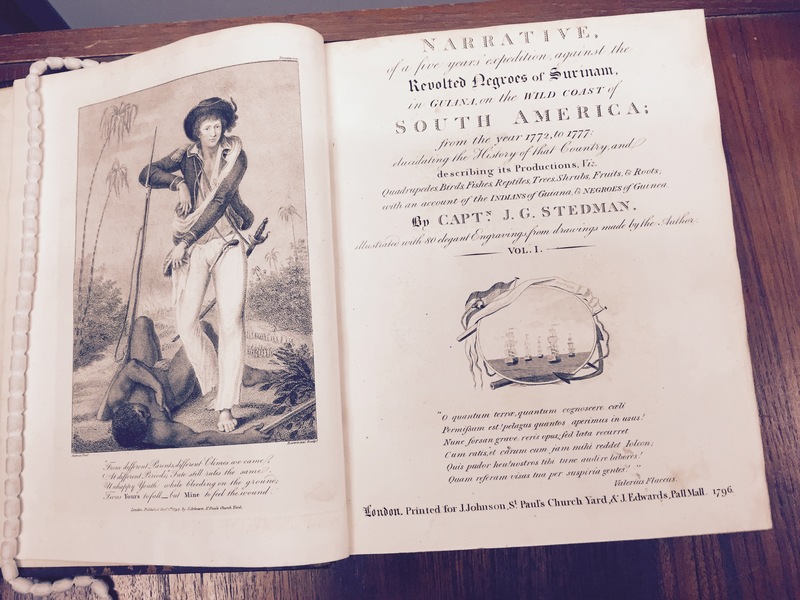 John Stedman’s The Narrative of a Five Years Expedition against the Revolted Negroes of Surinam, published in 1796, is an account of the author’s experiences in the Dutch colony of Surinam twenty years’ earlier. Its detailed and horrific recounting of the treatment of the colony’s slaves meant that it became an important tool in the early abolitionist cause. The book was published by the radical publisher Joseph Johnson and features engravings by several artists, among them Francesco Bartolozzi and William Blake. Blake delivered his sixteen images in the winters of 1792 and 1793. 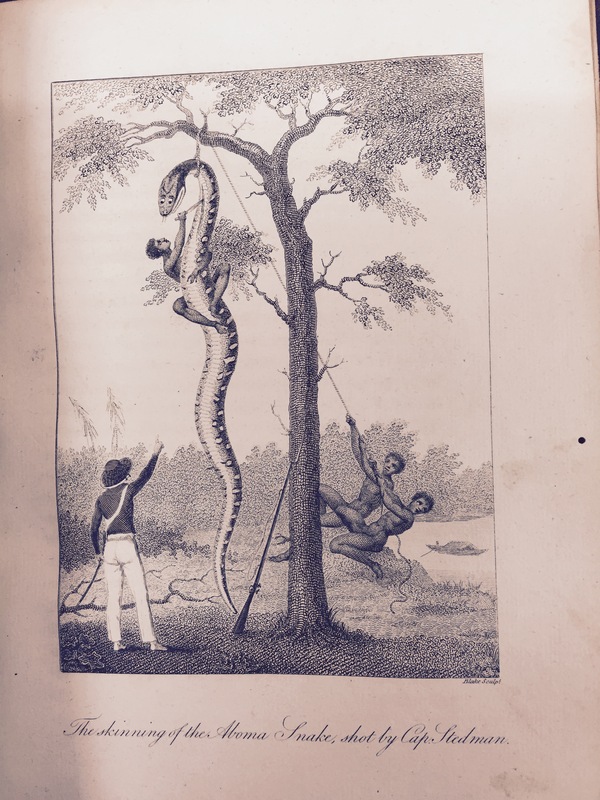 Although Blake’s illustrations include many of the plants and creatures of Surinam, the most notable are those of the awful atrocities against the slaves. Blake’s engravings are said to be more forceful than other illustrations in the book, and to echo the fluidity and quality of his original work. However it is impossible to compare Blake’s engravings with Stedman’s original drawings because the latter have not survived. Blake and Stedman became close friends and visited one another often. Blake later included some images from Stedman’s Narrative in his poem ‘Visions of the daughters of Albion’.